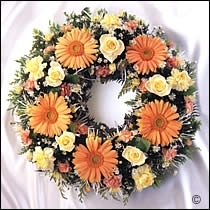 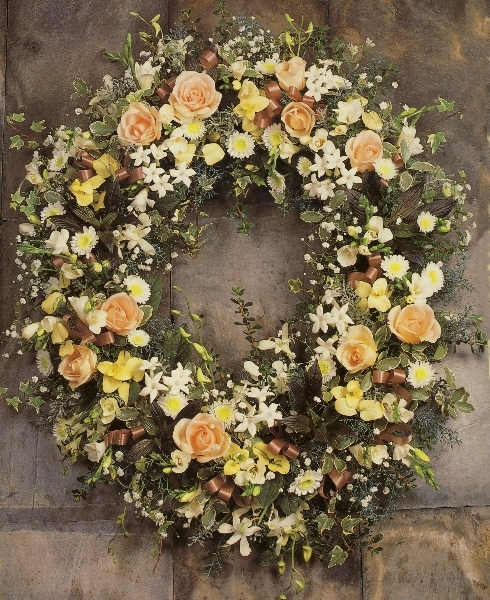 Funeral and memorial wreaths are among the most popular funeral tributes. 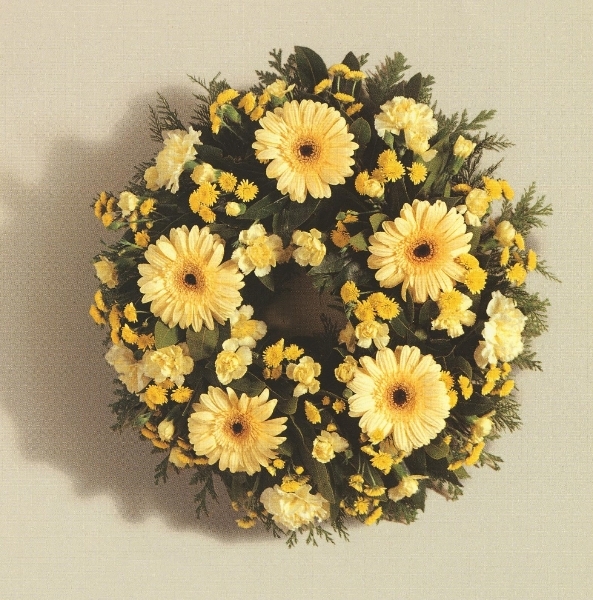 They symbolise the circle of eternal life, and are often laid on graves and war memorials as well as featuring within funeral services. 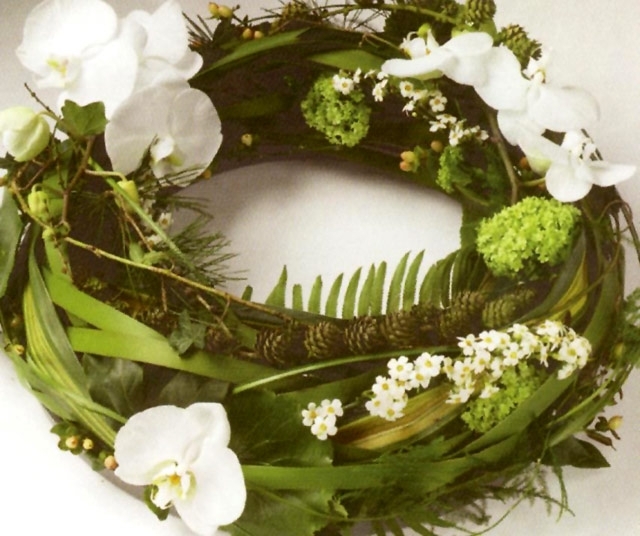 While the history of the wreath is based in religion and the idea of an eternal spirit over death, they are now used throughout religious and secular ceremonies. 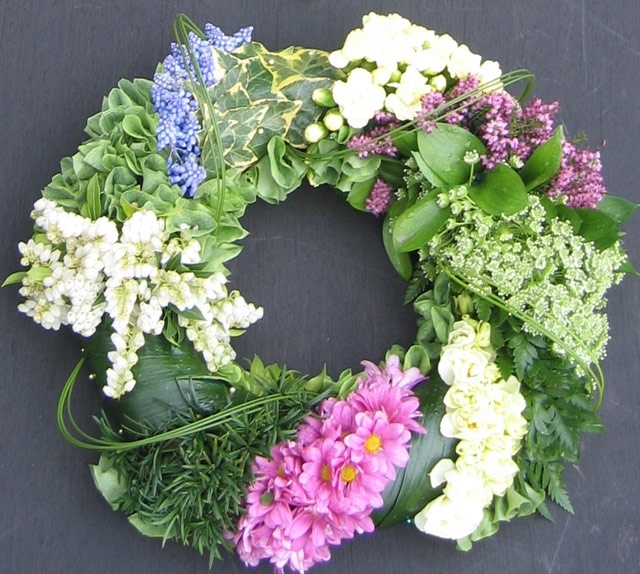 If you have a particular requirement for your wreath, such as a preferred flower or message, please let us know and we’ll ensure that your arrangement fits the occasion perfectly. 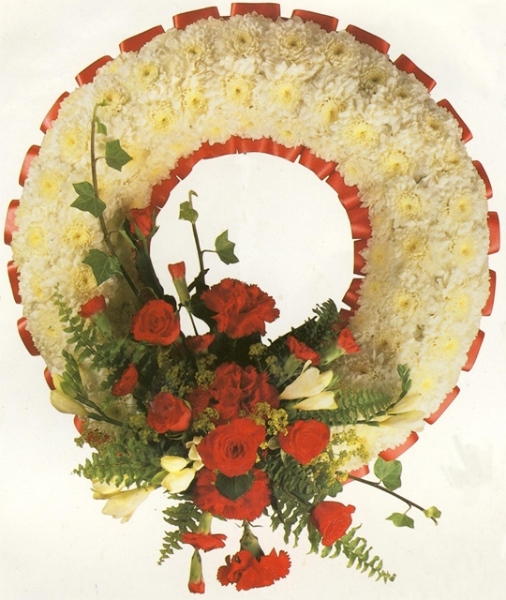 The classic circular design is extremely versatile, and can be made to any size, girth, and we can use a variety of materials for both the decoration and the frame. 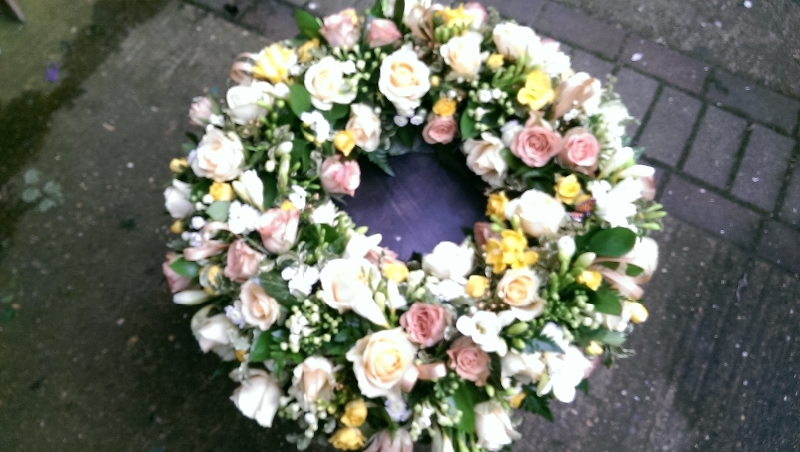 If you would like to place a candle or lantern within the centre of your wreath, or even a photograph of the deceased, we will build the wreath around the size of the item to frame it. 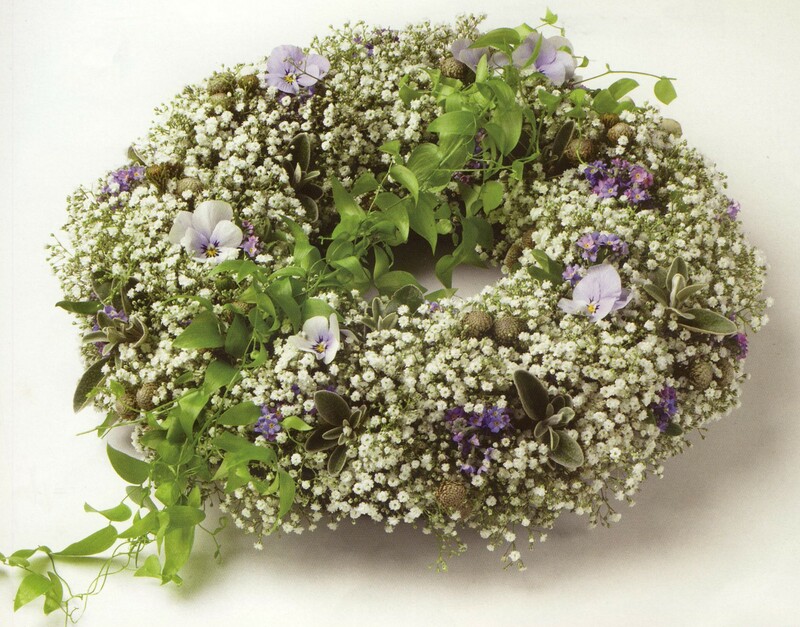 In addition to flowers, we can discuss ribbons and other materials that can enhance the design and add a hint of personality to the arrangement. 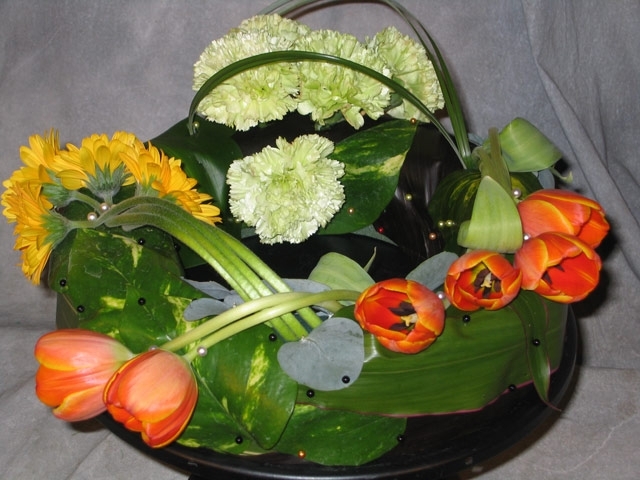 If you prefer to use flowers that are in season, we can advise on your current choices and which flowers work well together in this circular arrangement. 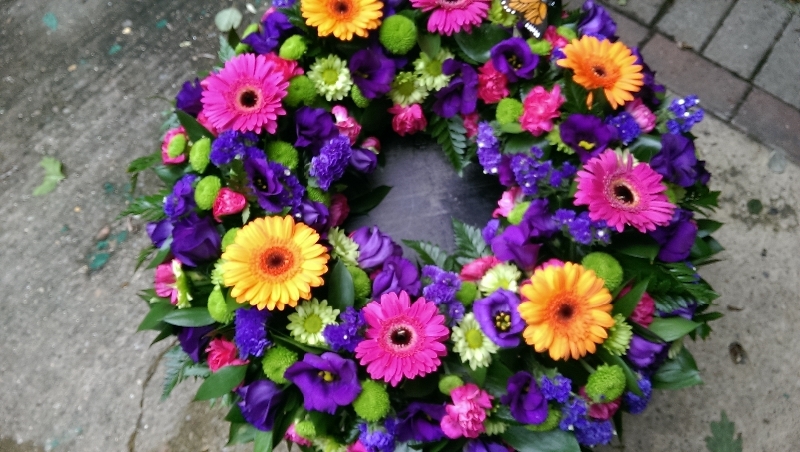 Please just get in touch and we will discuss your requirements.